Hunter's goulash. Sign me up! 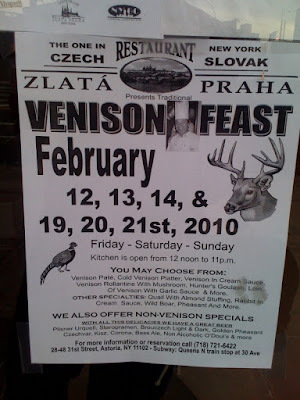 Nothing says "romance" like wild boar and venison pate. That all actually sounds pretty delicious. Thank god they serve plenty of good beers with your wild animal. Been to Prague...ate a lot of weird meat and watched 3-year olds share smokes with their parents. Go meat!